Full license key for free to activate Aiseesoft Screen Recorder. On this time limited giveaway serial number save $39.00 because the software offered for free. Aiseesoft Screen Recorder is screen capture tool like Ashampoo Snap free license key. The best it available for Mac and Windows. To download or grab Aiseesoft Screen Recorder license key for free, use the link below. Get unique registration code is you are interested. Main function Aiseesoft Screen Recorder is to record/capture desktop and save as image or video. It offer handy tools. The software is useful to record desktop activity or create a screenshot. 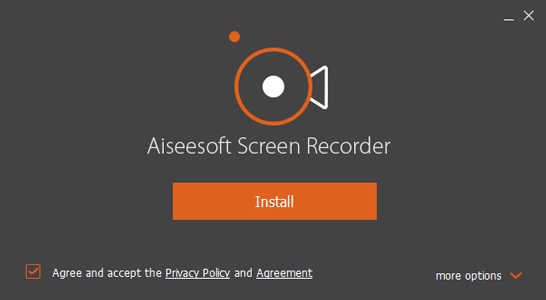 Aiseesoft Screen Recorder allow you to record video and audio from external source. As seen on the screenshot above, Aiseesoft Screen Recorder can record a windows area, full screen, or specific area. During the recording activity, you can use hotkey or toolbar to control. And now the software is free. The giveaway this software is in German language. But no need translator to register because it easy to understand. Everyone register on the giveaway page will receive unique license key for Aiseesoft Screen Recorder. The offer for a short time only. So, you must hurry before it expires. If you are interested use the link above and follow the steps below. First, visit the the giveaway link or page above. Then and fill up all field requires. Just enter your name and your valid email. The license key will be sent to your email address after submit the form. After receives activation code, download the latest version installer from this link. Then use the code in your email to activate or onlock all features. Only require three simple steps to record or capture desktop activity using Aiseesoft Screen Recorder. Set recording area, start recording/capture and then save the file as video/audio or image. After the free offer expires, use coupon code to buy license key at cheapest price. Get big discount using coupon code. Offer is available for Mac and Windows versions. Get discount up to $19.50 on this promo using coupon: Click here to buy! Get the same discount like Mac OS version: Buy this version! For comparison, check also similar or alternative software to capture or record desktop screen. Read about Apowersoft Screen Recorder the tool that also available for Mac and Windows.